Welcome to the Mid-Week Blues-Buster Flash Fiction Challenge, Year 3, Week 17. MAKE SURE TO PUT YOUR TWITTER HANDLE NEXT TO YOUR WORD COUNT AT THE BOTTOM OF YOUR POST. IF YOU’RE NOT ON TWITTER GIVE ME AN EMAIL ADDRESS OR SOME OTHER WAY TO GET A HOLD OF YOU. This week’s song prompt is a great duet by Iggy Pop and Kate Pierson (of B-52s fame). This week’s Judge is… it’s still me. We’ve had some very low-entry weeks of late so I’ll be judging until we start to attract more entries. The challenge is now open and runs through MIDNIGHT PACIFIC TIME on Friday October 2nd. We didn’t have much to say to each other until we reached the cars. His cruiser looked standard-issue, which meant he probably had to take his hat off to fit inside. “How much is Jed paying you to find his wife for him, Jake?” he asked. He didn’t bother to try to hide the contempt when he used Jed’s name. He put a hand on my shoulder. He gave me the stink-eye, but his jaw wasn’t clenched and his body language didn’t involve crossed arms or reaching for his handcuffs. “I think we’ve reached the point where you either arrest me or send me on my way,” I said. Thanks for stopping by to check out my stuff and thanks for any feedback you feel inclined to leave. Taking the week off… Sorry to disappoint the one or two people still with us. We’ll be back next week. Maybe. I scanned the cul-de-sac. A single light in the front room of the house across the street showed through the blinds in the window. “You told my deputy you weren’t on the job,” he said. He folded his arms in front of his chest. A bit of night wind came through, sending the few leaves that had fallen early skittering across the blacktop. “When was the last time you were in that house?” I asked him. He eyeballed me as if the depth of my trustworthiness would be revealed if he stared hard enough. Thanks for stopping by to check out my work and thanks for any feedback you feel inclined to leave. 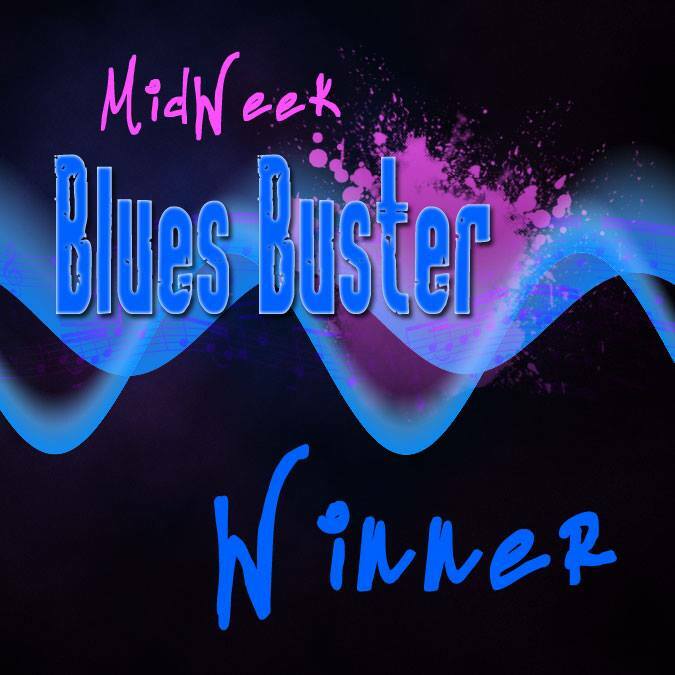 Welcome to the Mid-Week Blues-Buster Flash Fiction Challenge, Year 3, Week 16. This week’s song prompt brings us to the melancholy world of singer/songwriter Freedy Johnston. I’m still doing the judging since the MWBB continues to be unpopular on the flash fiction circuit. The challenge opens the moment you read this post and runs through MIDNIGHT PACIFIC TIME on Friday September 18th. The large man approached me with the flashlight still pointed at my chest. He offered me his other hand. “Sheriff Orion P. Jones,” he said as we shook. I could’ve fit both of my hands in the one of his. His skin felt rough and calloused to the touch. I appreciated his not needing to prove the obvious by turning my hand into a diamond. He stood a full head taller than me, without counting the hat. His official smile held traces of genuine good nature in it. It still couldn’t hide the slight look of irritation very tall people often wear after a lifetime of stooping through doorways and being asked to get things off the top shelf. His dark brown skin looked even darker in the poor light. That didn’t give me much to work with so I waited for him to continue. We had six entries in Week 3.14. Six! That’s like six hundred by our standards. Winner – Pattyann McCarthy – You had me at, “Flo-looking waitress.” Kiss my grits! Welcome to the Mid-Week Blues-Buster Flash Fiction Challenge, Year 3, Week 15. MAKE SURE TO PUT YOUR TWITTER HANDLE NEXT TO YOUR WORD COUNT AT THE BOTTOM OF YOUR POST. IF YOU’RE NOT ON TWITTER GIVE ME AN EMAIL ADDRESS OR SOME OTHER WAY TO GET A HOLD OF YOU!. Because I forgot to post this last night, this week’s challenge will run through MIDNIGHT PACIFIC TIME on Saturday instead! We’re going to pick it up a little with this week’s song prompt. It’s back to the ’80s with… The Cult! The challenge opens the moment you read this post and for this week only runs through MIDNIGHT PACIFIC TIME on Saturday September 12th. We’re going to skip ahead just a bit– Jake makes his exit from Marisa’s house after he finds whatever it is he finds in there (I can’t give away everything now!! 😉 and makes a new friend. Kind of. Bright light hit me square in the face as I hit the driveway. I stopped and pointed my own flashlight where I imagined someone’s eyes should be. The voice was deep and carried a drill-sergeant’s toughness in it. I squinted hard and was able to make out a large shape to go with that large voice. I knew he had a light in one hand. I couldn’t see the other. “You from the sheriff’s office?” I asked. I held my free hand out away from my body and let the hand holding the flashlight fall to my waist. “I’d feel better about this if I saw a badge,” I said. I blinked until I could see. His badge was pinned to the front of his button-down shirt, right where it belonged. I made no reply. Didn’t need to. Thanks for stopping by to check out my work. If you’re a fellow Snippet Sunday writer please stop by the others’ blogs to read their stuff too!!! We got four!!! Four entries!!! It’s almost like people think we’re still relevant!!! In celebration, I’ve decided that all four entrants are WINNERS!!! All four stories are great and worthy of the honor. Here’s a great big Winner’s Badge for everyone!